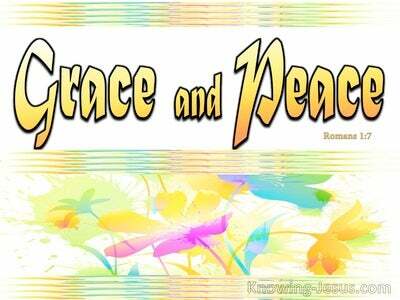 What Does 1 Thessalonians 5:9 Mean? The wrath of God must be poured out on ALL sin, and the wages of sin is death. For the Christian the full force of God's wrath was poured out on Christ instead of on us. He was punished in our stead. He was made sin for us. He shed His blood on our account. The wrath of God was poured out in fullest measure on Christ so that your sin and mine could be forgiven by grace through faith in Him. God's wrath was poured out on Christ in our stead and we are forgiven of all our sin. Every sin that we commit during our life - past present and future, was laid on Christ and the enormous price for sin was paid-for by Him 2000 years ago. He took our place and paid the penalty for our stead, on that terrible..yet glorious day when Christ became the sin-sacrifice for mankind. 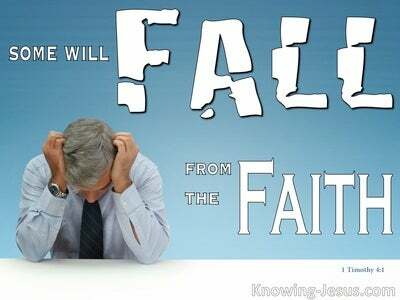 We are saved by grace through faith and not destined for wrath because we believe on Christ.. We are forgiven of all our sin because Christ took the punishment in place of us. We are not destined for wrath because CHRIST took the full force of the wrath of God on Himself instead of it being poured out on us. 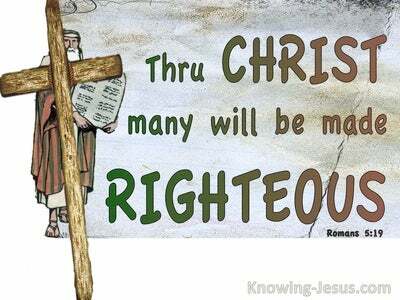 God's accumulated anger and wrath against your sin and mine was placed on Christ Jesus on Calvary's cross. 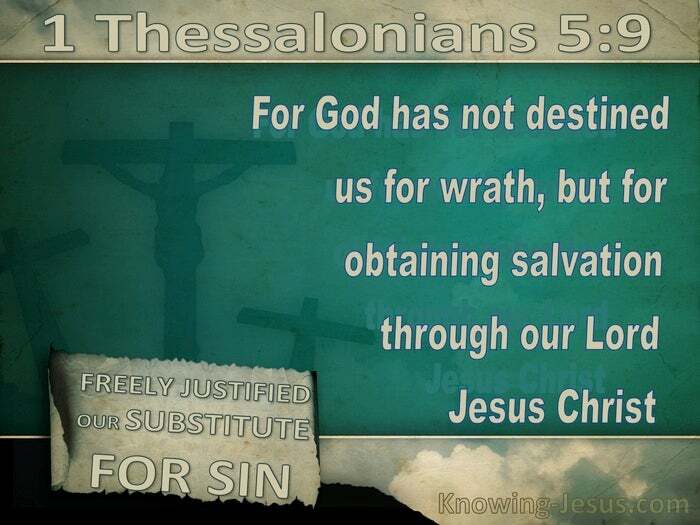 We are not destined to have God's wrath poured out on us because we trusted in the death, burial and resurrection of the Lord Jesus Christ as the payment for our sin.. God has not destined us for wrath but to obtain salvation through Christ. Every man and woman has a free-will choice to trust in Christ for salvation - because the wrath of God against their sin and ours was paid at Calvary.. the choice is to believe and be forgiven of all sin, which means that we escape the wrath to come, having obtained salvation in Christ. 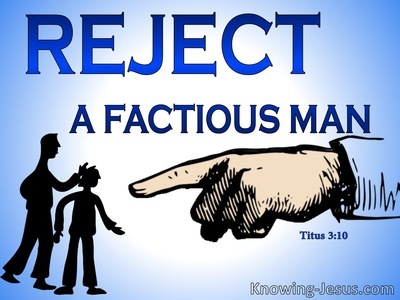 The only alternative is to refuse to believe on the only begotten son of God, in which case those who refuse God's offer of salvation by grace through faith in Him will suffer the full force of God's anger, wrath and condemnation - because they did not believe on the only begotten Son of God. There is an appointed time that God's wrath is going to be poured out in full measure on a Christ-rejecting sinful world that did not believe in Him- a future time that is called 'the time of Jacob's trouble' - the great tribulation - and it takes place in the 70th week of Daniel's great end-times prophecy. That future time of wrath is very near and we need to recognise that it is by grace that we have been saved and not of works - lest any man should boast.. but one of the hundreds of benefits that is given to all who believe on Christ is that we are NOT appointed to wrath. Instead, as we are told by the apostle Paul: that the Lord Himself will descend from heaven with a shout, with the archangel's voice, and with the trumpet of God, and the dead in Christ will rise first. Then we who are still alive and remain, will be caught up together with them in the clouds to meet the Lord in the air; and so we will always be with the Lord - and then that terrible time of Jacob's trouble will be poured out.. 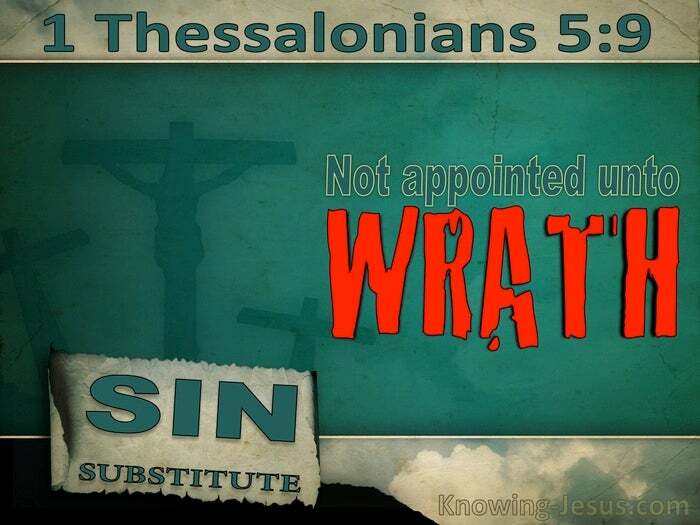 But we have not been appointed for wrath, but to receive salvation through our Lord Jesus Christ. Let us encourage one another with these words.